Rise above hate, rise above tribulations and rise above principalities if at all you want to be successful in this competitive world. You have to fight for what you believe is right. The richest man in the world, Bill gates’ life too wasn’t and is not a bed of roses! Dear reader, you heard me right, you just have to struggle. 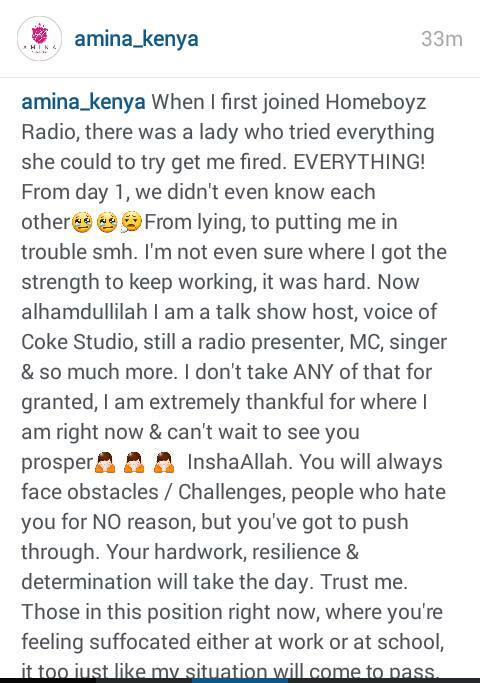 Amina is with no doubt a household name in Kenya. 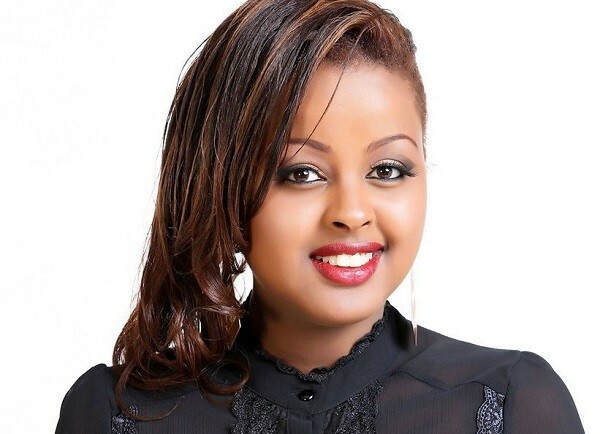 The stunning and gorgeous radio presenter who is also a singer and a renowned mc has truly gone through a lot before she secured a name in the competitive entertainment industry in Kenya. Amina is currently a proud mother of one and she is married to John Rabar (her boss, owner of Homeboyz) and she recently decided to open up her heart and share what she went through before becoming a ‘big fish’ in the aggressive Kenyan showbiz.